Because professional security & investigative services help ensure the reputation of your program and validity of your assessment results through a swift, thorough, and measured response to any incident, threat or vulnerability. Caveon Investigative Services (CIS) is the testing industry’s only end-to-end solution for high-stakes testing programs, from threat assessments to data forensics, to comprehensive investigations of potential breach incidents, threats, and vulnerabilities. CIS offers the highest level of expertise to provide organizations with an effective and reliable resource for preparing for, and responding to threats to the security of assessments. We provide comprehensive test security response planning, compliance, and incident response services that include training, real-time monitoring of testing, and on-call investigative and consulting services. We also provide clients with the capacity to quickly deploy a team of experienced professional test security investigators in response to any significant test security incident to conduct independent, thorough, and fair investigations. 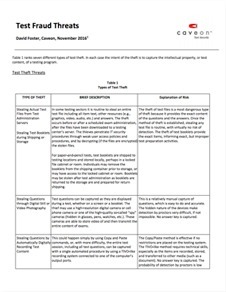 Comprehensive investigations in response to a wide range of possible exam security violations, from individual cheating and collusion, to item harvesting for commercial purposes. 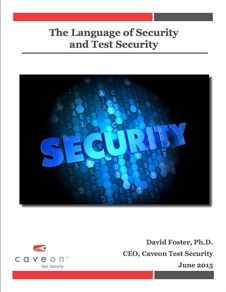 Test security equals exam validity. CIS threat assessments enable test sponsors to identify and mitigate the greatest threats and vulnerabilities to the integrity of their exams. CIS investigators provide staff training on investigative methods and best practices. CIS experts provide real-time monitoring and evaluation of ongoing testing operations. When exam security incidents are suspected, we provide rapid response, planning and execution, crisis communications counseling including strategies to stop the spread of inaccurate information about the incident, and next steps to keep your program running and your assessment program secure from future threats. “CIS On Call” — our signature retainer service that provides test sponsors with round-the-clock access to and advice from CIS test security professionals to guide test sponsors in identifying, responding to and investigating possible test security violations, and to provide them with effective strategies designed to save time and financial resources in responding to possible threats. "We understand that ensuring test security is a complex challenge, and that each program faces unique issues in protecting the integrity of its exams. CIS is committed to providing our clients with the industry’s most robust test security solutions, tailored to meet their specific needs."